The Chronicle on 4/23/14 had an article about the conflict between developers preservationists in Houston’s First Ward. Preservationist is probably not a good term…too elitist. These are just people who like to see their old homes and their old First Ward neighborhood retain some of its charm and history. This is one of several pages on Houston Historic Districts. The First Ward is a cool old neighborhood. 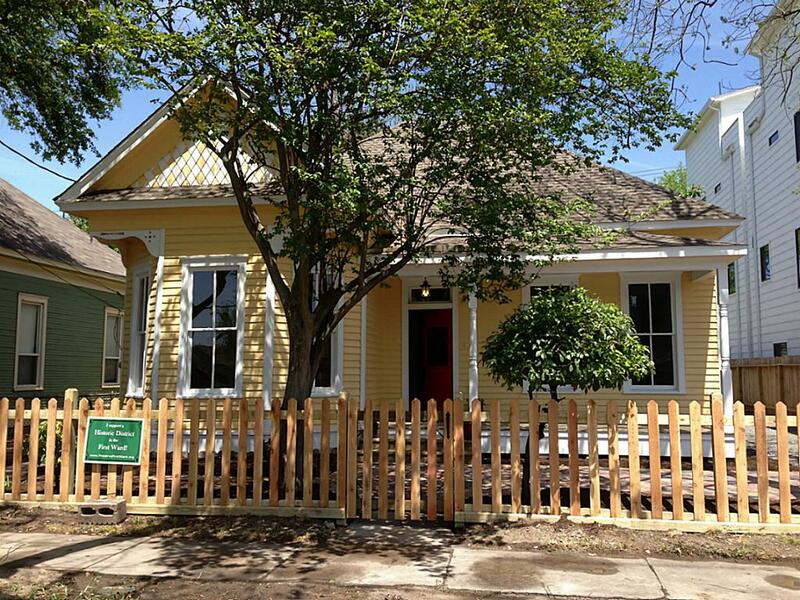 It has a lot in common with its contiguous neighborhood to the south, Historic Sixth Ward. 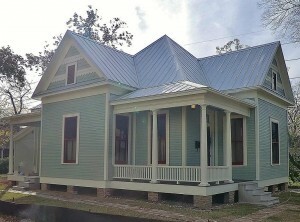 Sixth Ward has a lot of renovated homes from the 1890’s and early 1900’s. Years ago I fell in love with the area after seeing an old house on State St. What I remember vividly about this brick house was it’s chandelier that had both gas flames and electric lights. Gas flames on top, and electric bulbs underneath. I assumed that electricity wasn’t as reliable back then, so gas was retained as back-up lighting. That’s how old Sixth Ward is. Lots of grand old homes restored to their glory days. First Ward is not quite the same. 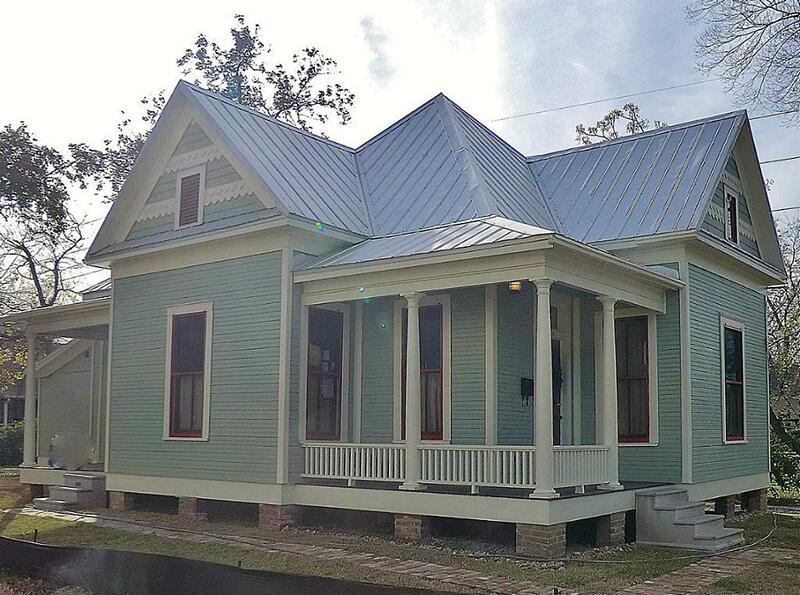 Lots of cool old homes, but many past the ability to be restored. A few scattered townhomes made their appearance years ago, and the question became…what will prevail? 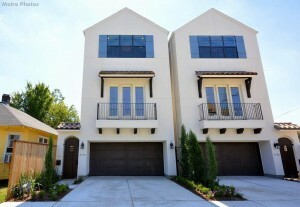 Will the homeowners band together and work on preserving the area, or will townhomes take over? It’s hard to spend money to restore a little folk-Victorian home when 3-story townhomes loom over it from 3 sides. Townhomes have won the battle; the neighborhood is now a jumble of old and new, with more old going away daily. Read the Chronicle story about how one man, Dominic Yap, is using his philosophy of “respectful restoration” in buying and restoring some of these old homes. When Gloria Perez decided to sell the First Ward cottage that had been in her family for almost 70 years, she felt suspicious of the developers who swarmed around her, ready to make a deal.In her mind, they were too quick to bulldoze 100-year-old homes and majestic shade trees and replace them with stucco townhomes strangely disconnected from the neighborhood and its people. Certainly she was glad to see new people and new energy, but she had to wonder if that explosive growth was improving the First Ward or destroying it. I love the quote ” stucco townhomes strangely disconnected from the neighborhood and its people” It accurately describes the groups of 3-story buildings dropped helter-skelter among 100 year old homes. Check out the article. It even gives a little history on Houston’s original Wards (City Council Districts before the charter change of 1905).